Tsulquate is located at the northern tip of Vancouver Island in British Columbia and is as far north as you can drive. The Tsulquate reserve is home to both the Gwa'Sala and 'Nakwaxda'XW people who were relocated by Indian Affairs in 1964 from their homes in Smith Inlet and Seymour Inlet. 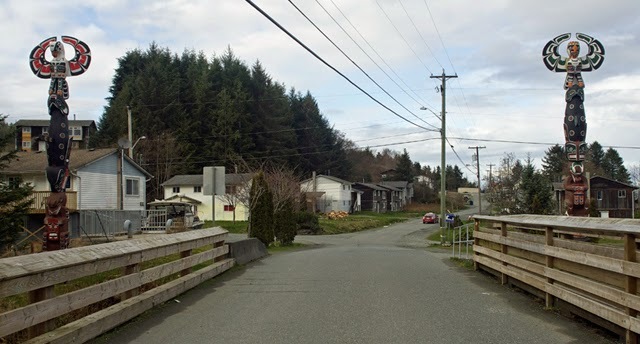 The Eke Me-Xi Learning Centre (established in 1997) provides educational programs in the Gwa’sala-’Nakwaxda’xw community for secondary students from Tsulquate and the Port Hardy area.